Earlier today we posted an article on the best places you can tune in to the Apple conference that is set to take place early this morning. With just under 2 and a half hours to go until the conference kicks off we wanted to take a look at just what we can expect from the Apple Watch. The amount of cases, faces, straps and sizes can be quite overwhelming because there are so many types to choose from. Firstly let’s start at the very beginning and get back to basics. 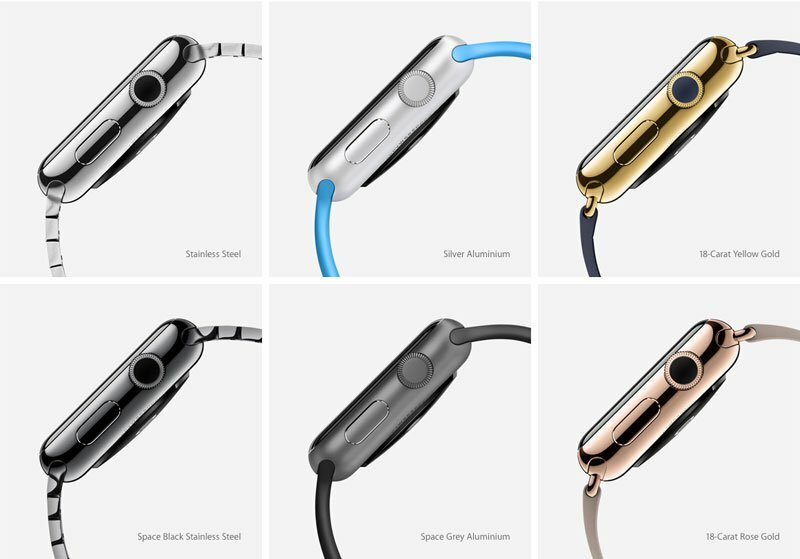 The Apple Watch comes in three collections and two different sizes. 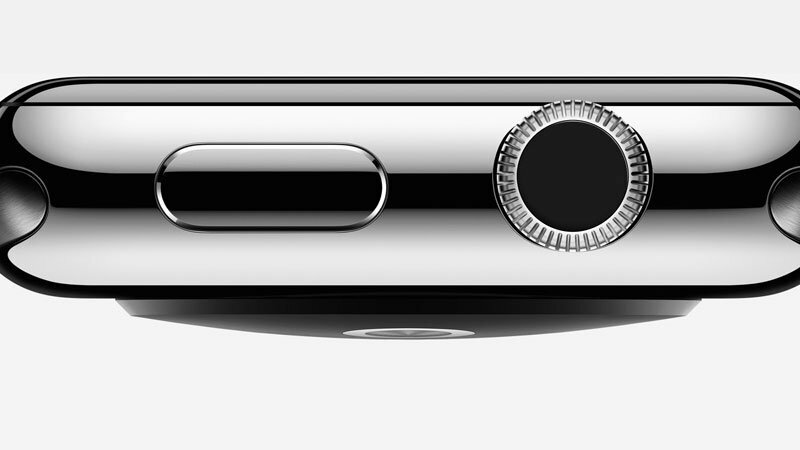 The sizes are from a height perspective, with one model reaching 1.5-inch whilst the second climbs to 1.65-inch. There are two screen sizes available, and all the screens will be using Sapphire glass sporting a resolution of 272 x 340 for the 1.5-inch screen, and 312 x 390 for the 1.65-inch screen. You can also benefit from NFC technology so just like your credit card you can pay for items down the local store using your Watch to swipe across the payment terminal. 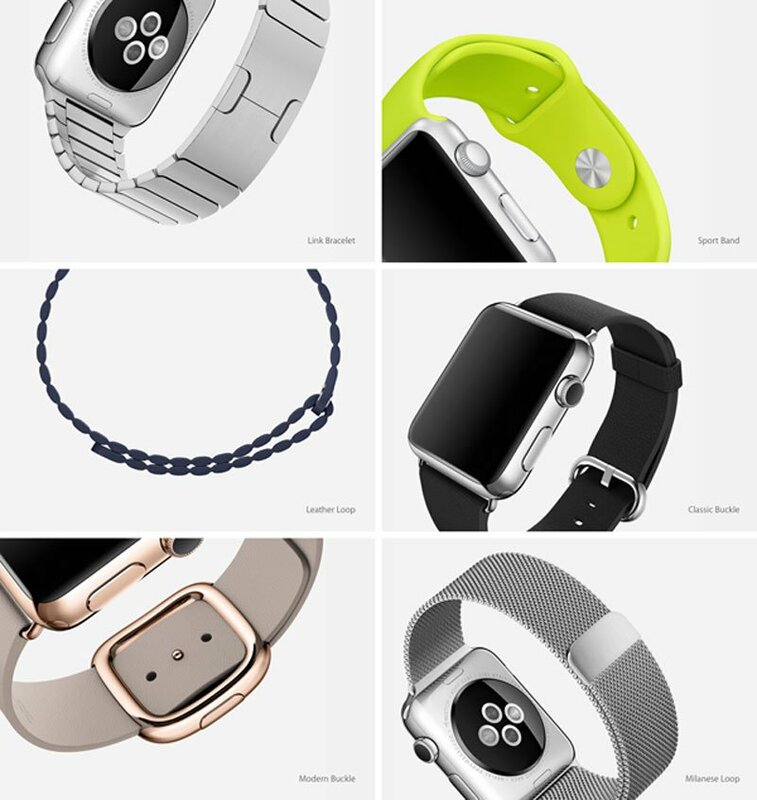 With the 6 different cases also comes 6 different Watch straps, from smaller designed straps such as the leather loop bracelet model to the larger classic buckle straps. 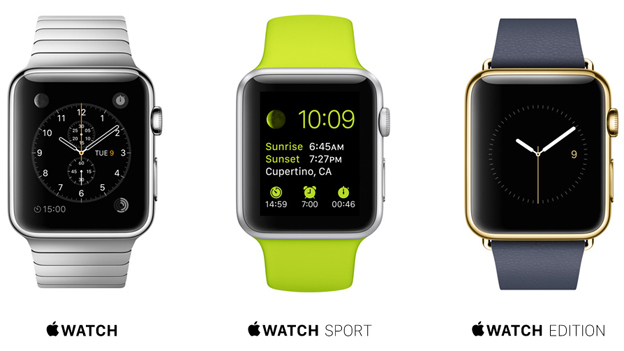 There is also a green sports band, ideal for those that are looking to purchase an Apple Watch to help improve their fitness levels. Finally, if you are still with us? 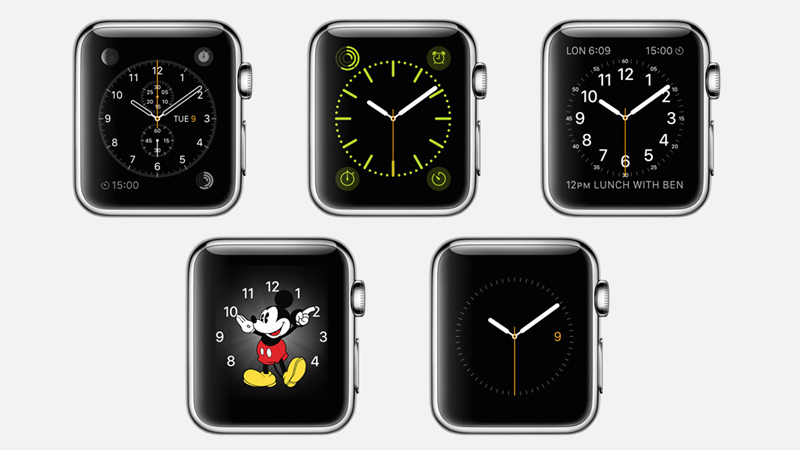 There are another 9 faces that you can choose from to finish the look of your watch. We have no doubts that over time third-party companies will come out of the woodwork and create their own designs that can be purchased online. Over the past 6 months app developers have been focusing on Apple Watch compatible apps that will launch with the new Apple Watch today. Could we see 100, 500 or perhaps over 1,000 apps launch? Who knows, this is something that we will find out later on today. In case you missed our last post, you can either watch a live video stream or follow blog commentary. Just click here to take a look at the time and places you can watch the Spring Forward event.